And I honestly don't know if I want to. I've followed this trilogy for close to 6 years now. I've participated in gift exchanges, bounched around HTTYD themed IRC channels, Discord, servers, Skype groups, and fourms. For a while, I even administrated the HTTYD fanfiction wiki. I've made friends all over the globe, with only one thing in common: Dragons. And now it's over. Already, the servers are beginning to quiet, and posts slow. I know I can't stop this from happening by not watching the last film, but for some reason, I just can't bring myself to watch it. 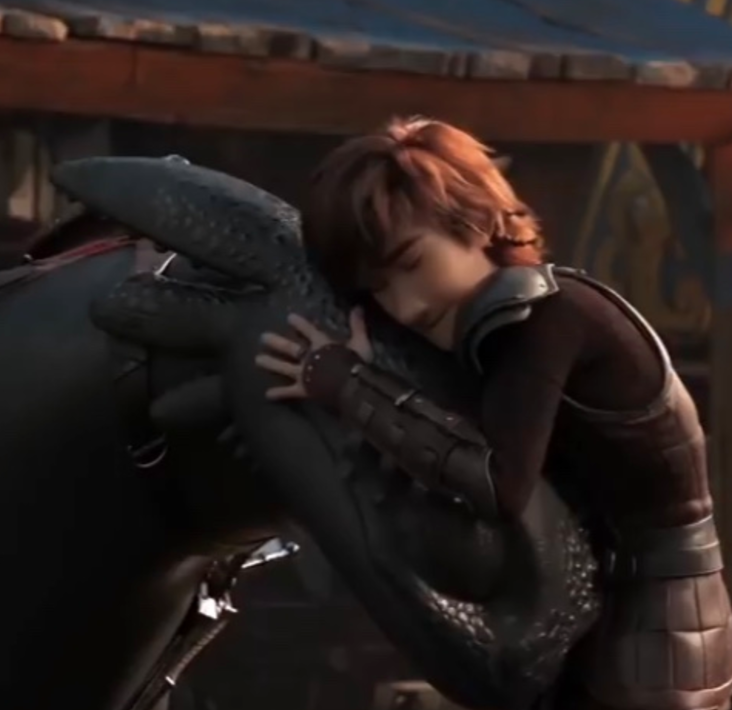 I've had too much fun as a part of HTTYD, and don't want it to end. No matter the case, thanks to all of you for making it happen. It's been one hell of a ride. Yeah, for awhile we were just commenting on the articles until we decided to move all the many many many off-topic posts over to the Dragon Chat. I don't know if this is any consolation, but the beauty of this is that it'll always be here for you to come back to. The community might disperse a bit (it'll take a while though) and new content will stop being released but you'll always have those films (and shows etc etc) to look back on. You don't really have to think of it as an ending if you don't want to- HTTYD is always going to be here and there will always be people who love it. If you do decide to see it, definitely do it in theaters. It's beautiful and it's worth it. Best of luck!